Hi friends ~ Happy Friday! creations with a chosen theme. Fancy Schmancy Fabulous Fabric February Challenge! 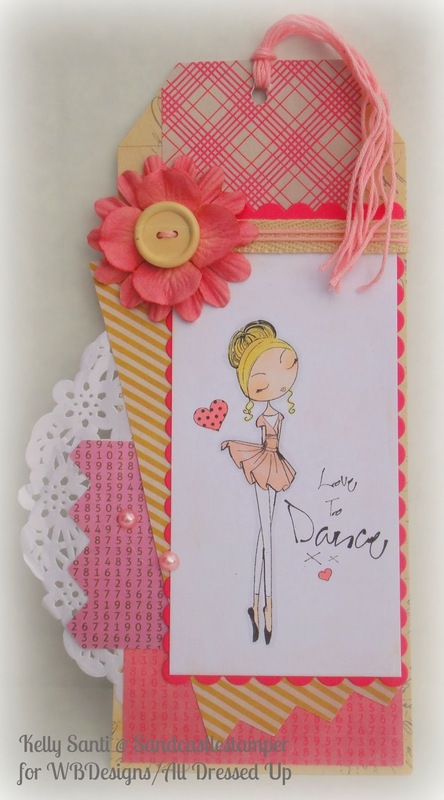 I asked the girls to create a card using fabric – fabric scraps – fabric flowers, panels, and/or the whole card! 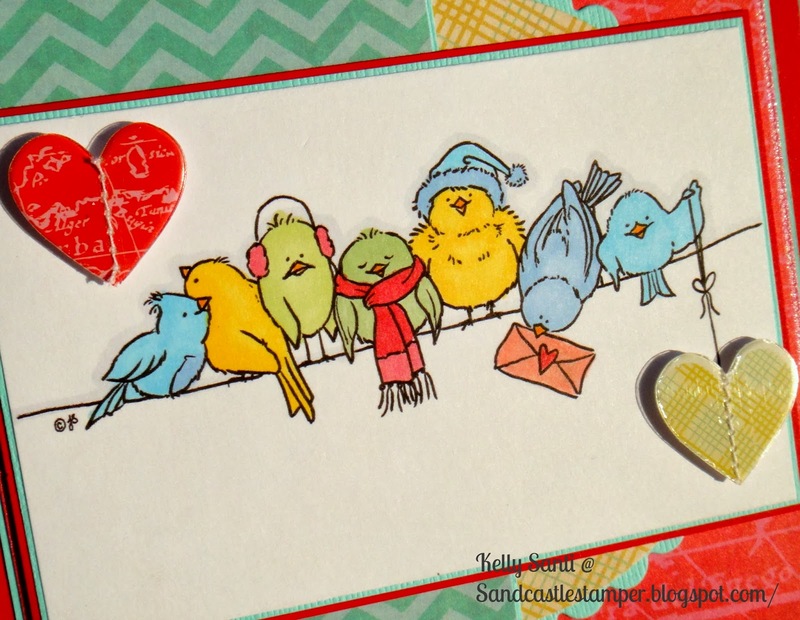 Think flowers, trees, houses, even holiday ornaments, etc – BUT .... no stamping our cards this month! Here is what I came up with this month ~ two cards! 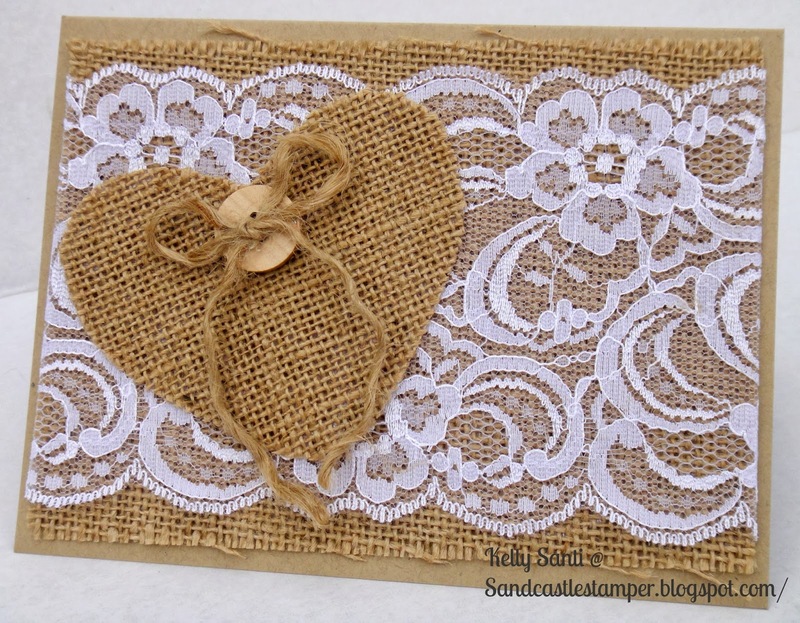 and the fabric I chose: Burlap and lace! 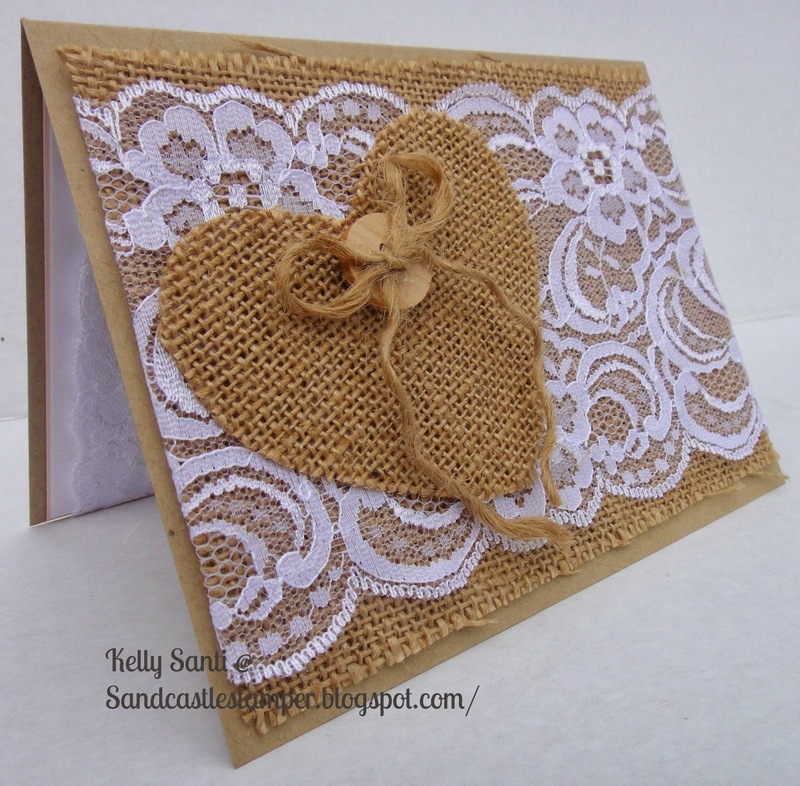 with a panel of gorgeous 3" lace layered on the top. 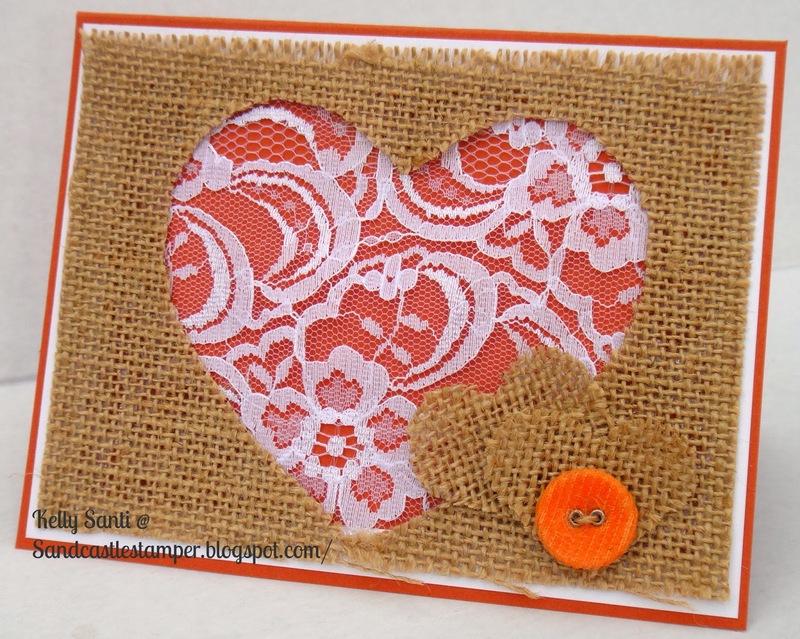 I cut out a second piece of burlap to create the heart. 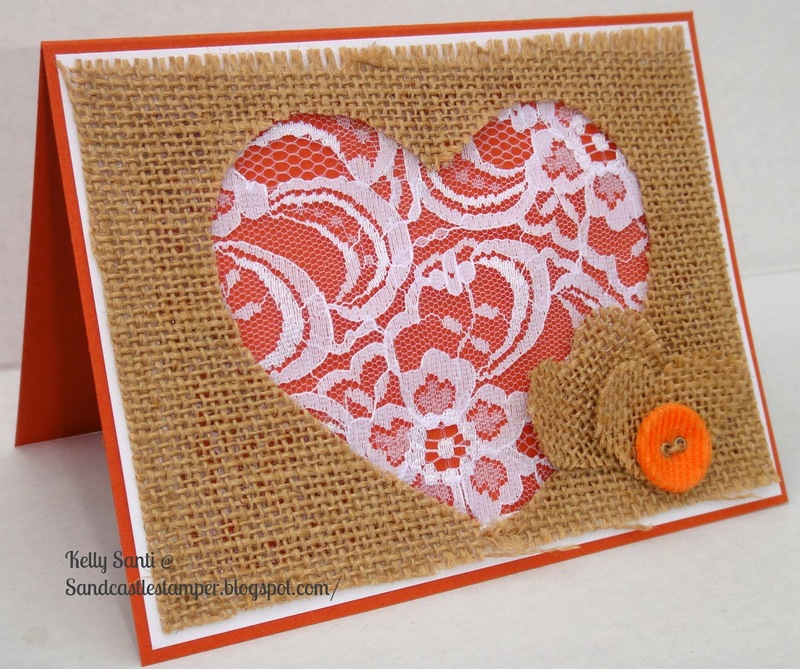 a wooden button and some jute string. so I decided to make a second card with the cut-out of the heart! even more leftover burlap and a fabric orange button for some pop! 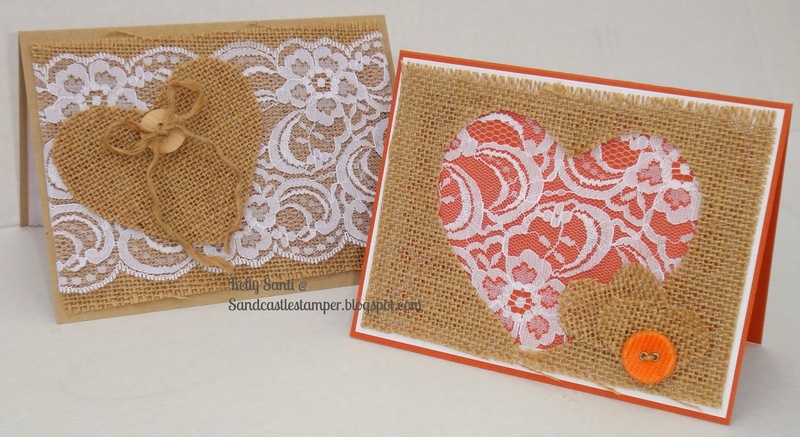 I'm tickled with how these cards came out :) I plan to dabble with burlap again soon! I love the rustic, romantic look this has. However, burlap is a tricky material. It's finicky and unforgiving. What a wacky, whimsical kind of day this has been! and the reality of a busy, odd day ... hee hee! I wanted to play along with some of the challenges I find refreshing. for everyone, from the funny ones to the ones filled with faith. you will receive the one for the next month. A win/win! so I decided to 'wing it' - haha, get it? LOL! it was hard to know what to chose. Off to get dinner on the table for my hungry crowd. recipe using fresh lemons and limes from my daughter's tree that is overflowing with fruits! how much I adore Sundays. Not just for the blessing of worship but the calmness the day brings. the beauty of this day. vibrant back yard that we have. watching the birds come to the feeding house my son just built. flowers are opening to the morning sun. 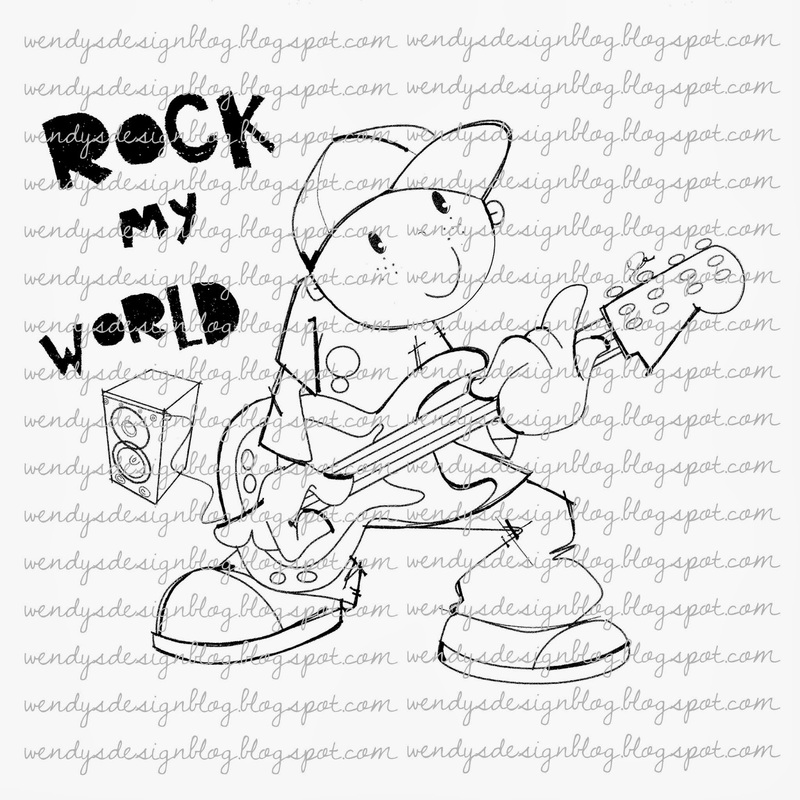 say "Come on, brother - there's playin' to do!" 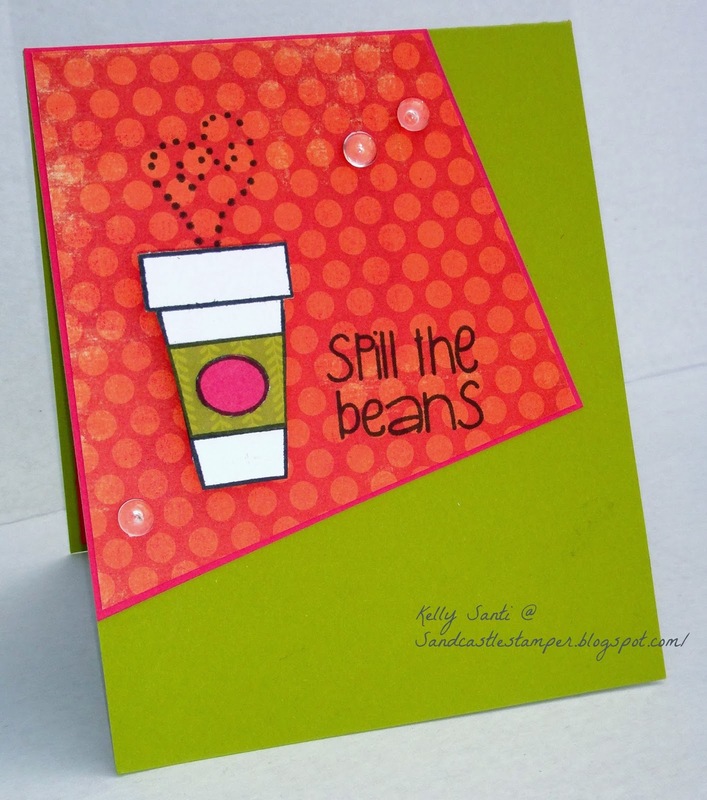 This week, my card reflects the simpleness of the moment. 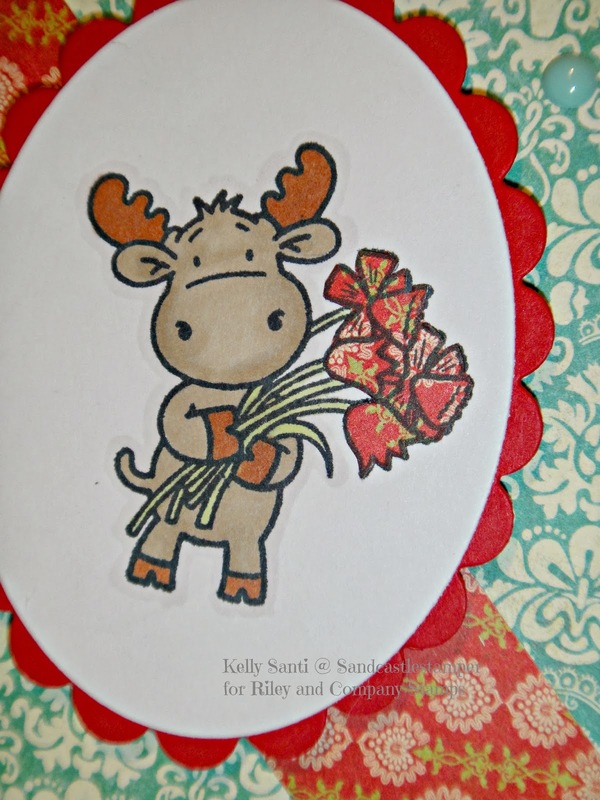 I created this CAS card - and can't believe how much I love it! 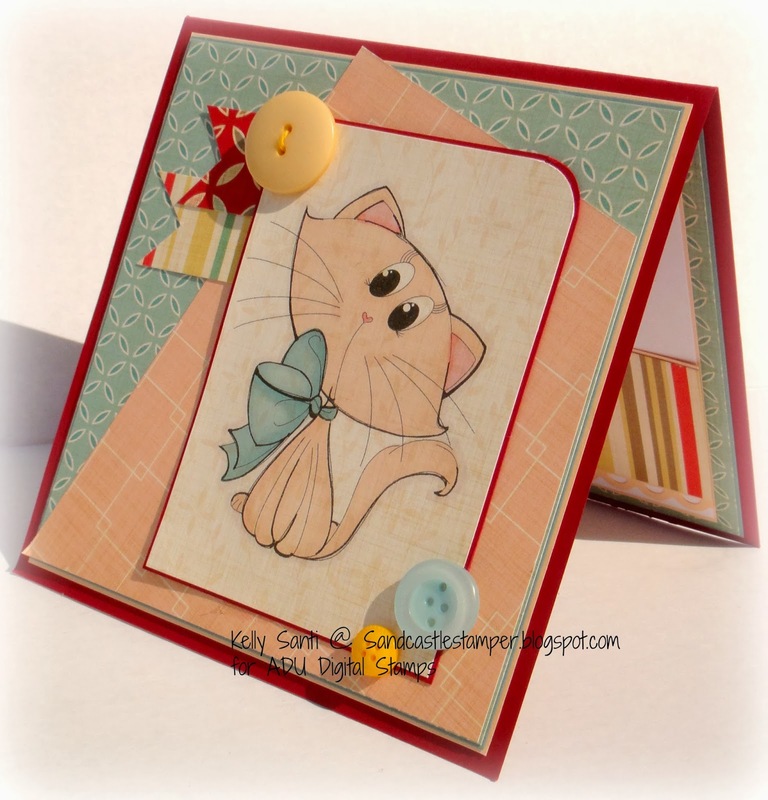 That is ... until this fabulous Retro Sketches #103 caught my eye. 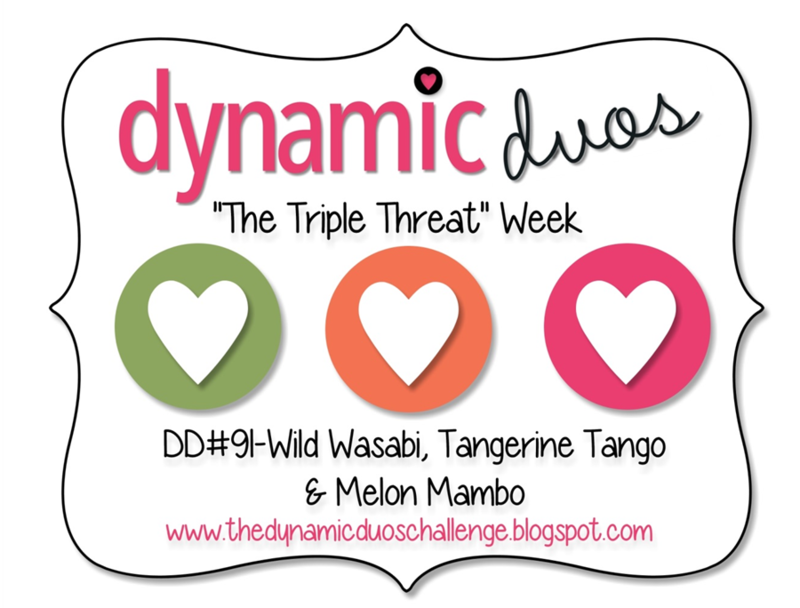 I was also inspired by the bold color combo at the Dynamic Duos Challenge. as a Starbucks aficionado, I jumped to play along! I'll link this up to PIO - Thinking of you challenge. where I have been delighted to be their GDT this month. 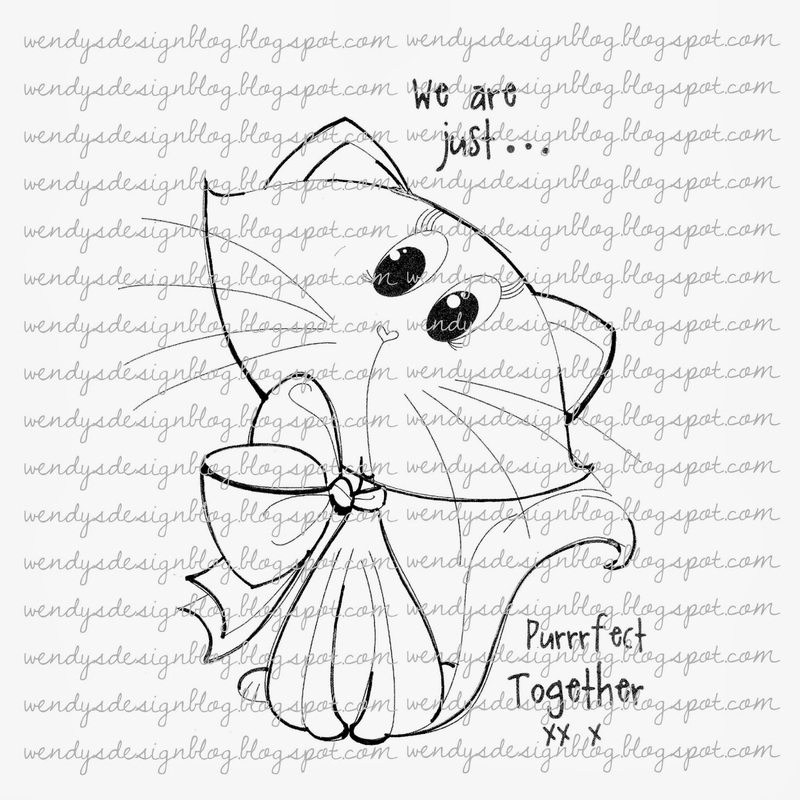 digital stamp "You're puuuur-fect" - so cute! gives the image a little more definition and was easy peasy to color. are just dreamy and sweet! also has a matching sentiment! 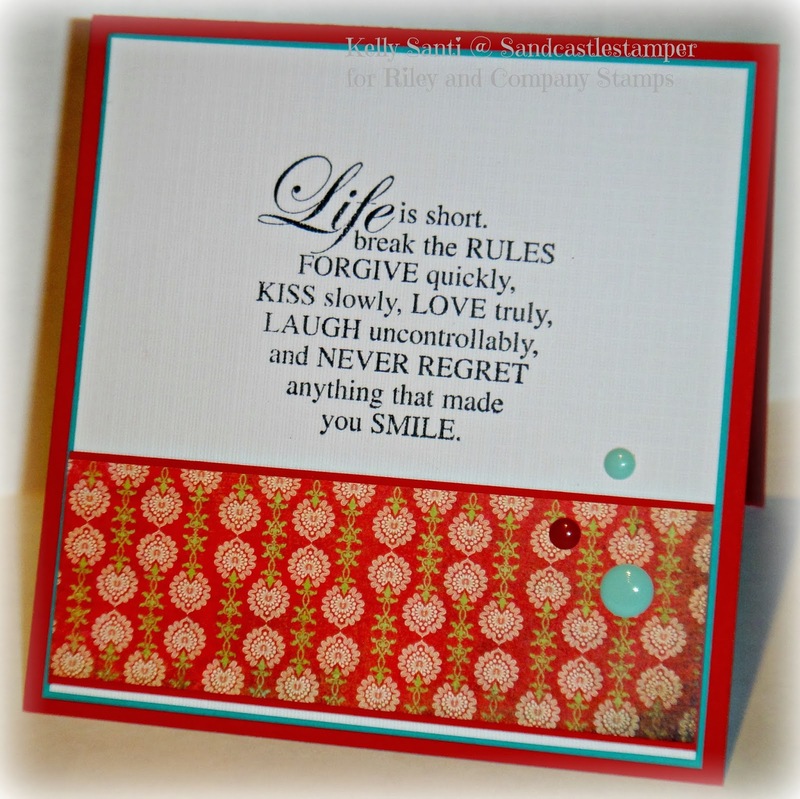 your stamps - its' been a pleasure! It's the time again - the Winter Olympics! GOLD last night in Ice Dancing - what a breath-taking moment! 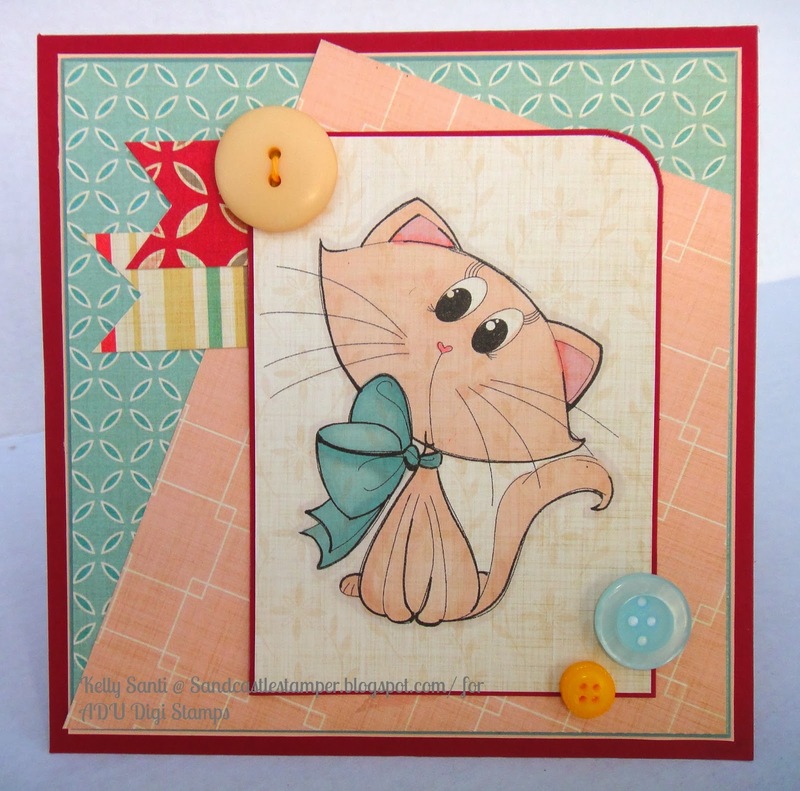 brought to us this week by DT member, Michele. She asked us to make a card with a matching envelope. 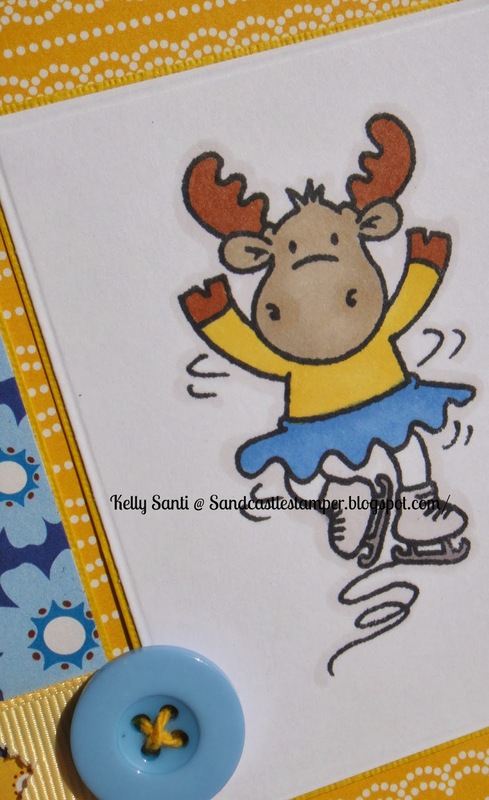 I used the new Figure Skating Sophie for my card today. and ended up with a dark blue card base to pull off the colors in the paper. 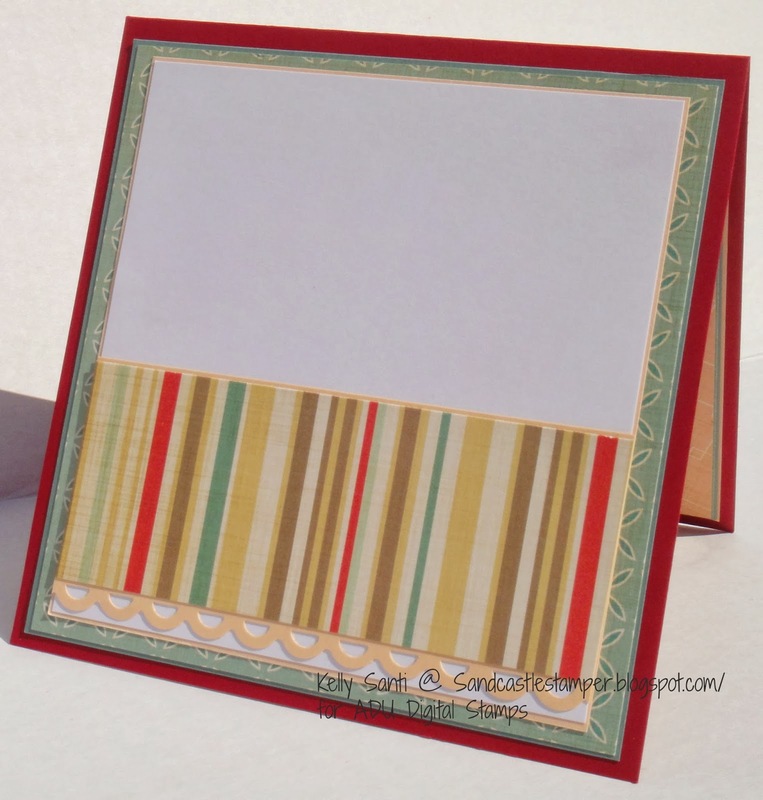 You can find the challenge and the DT samples here! 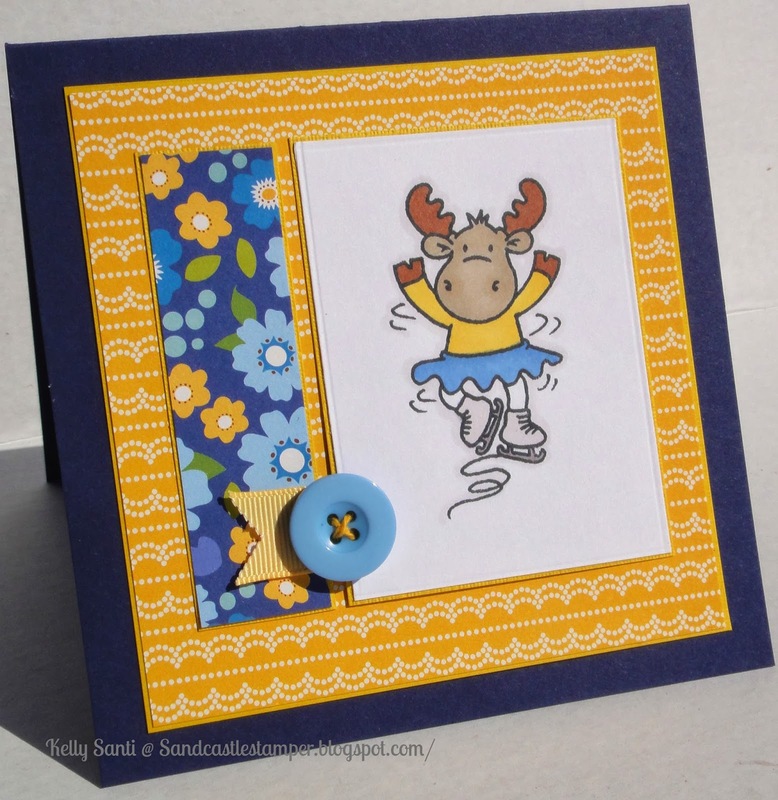 stop by and see your Riley and Company Creation! I had some crafty time again yesterday and made a few cards for the week ahead, which from my calendar looks to be quite a busy one! Actually, it's the adorable Yeti! the color combo this week is so soft and lovely. delighted to find the Deep Into the Woods set at TAWS. It was time for him to see some ink! I'll enter this into the TAWS Challenge. cards with a chosen theme. 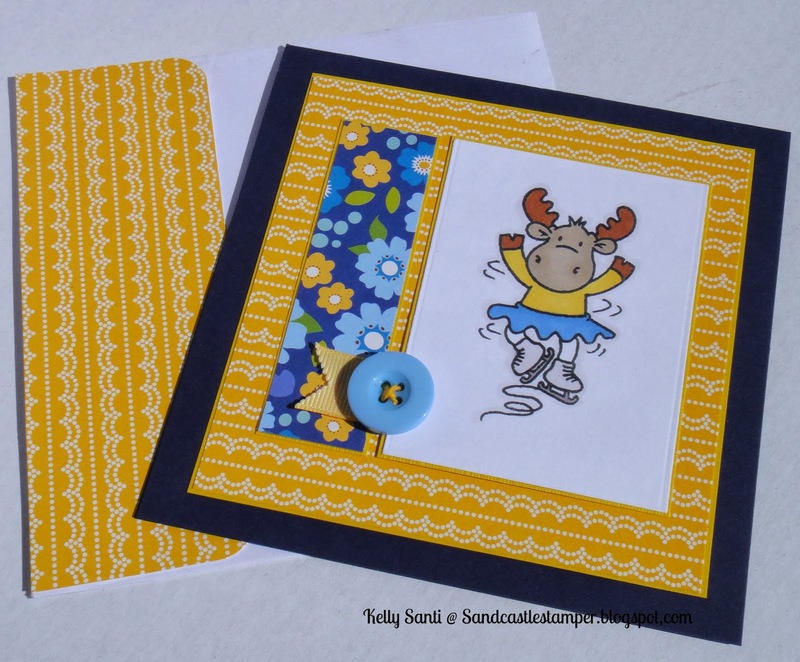 This month, our hostess for mailing out card kits was Barb and Deb - and as an added treat, both groups rec'd the same sentiment to work with this round. Thanks, Deb! 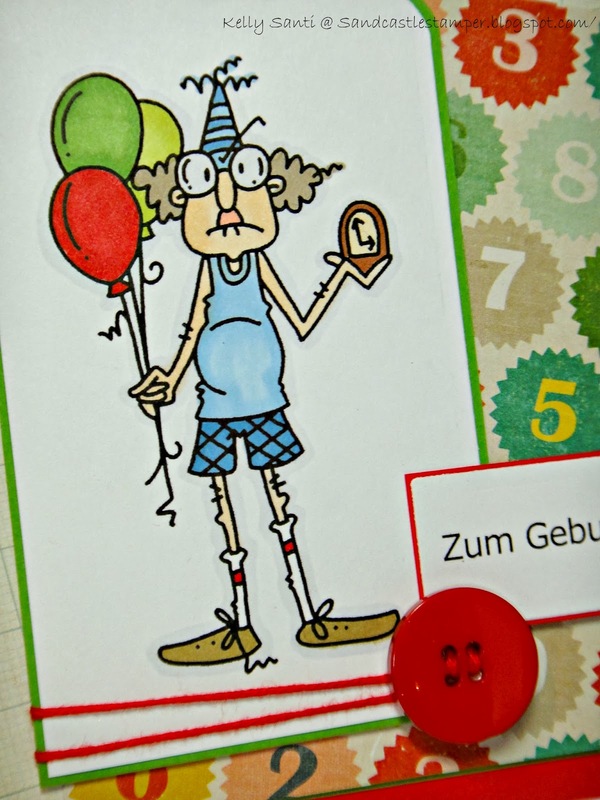 However, Barb sent us the card kits and oh me, oh my! This kit was stuffed full of wonderment! 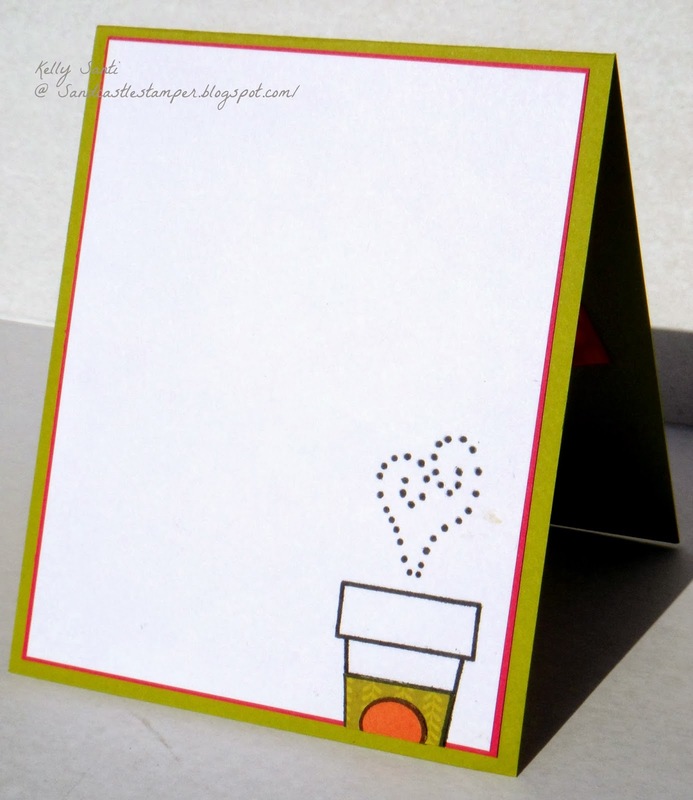 She included so many things in the kit, I can easily make 3-4 more cards. Thank you, Barb, for your generosity and for giving us so many things to play with. 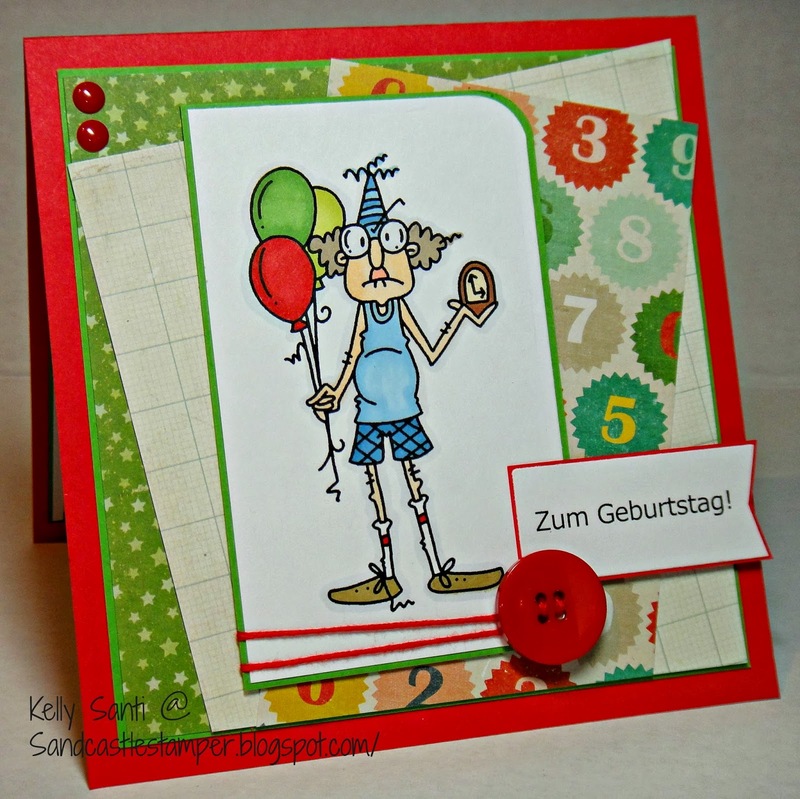 My completed card with 4 dsp sheets, ribbon and buttons! 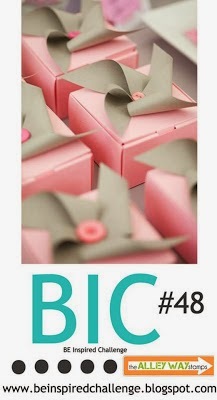 For my card, I went with the dark pinks and tan dsp from Crate Paper - they jumped out at me the most. 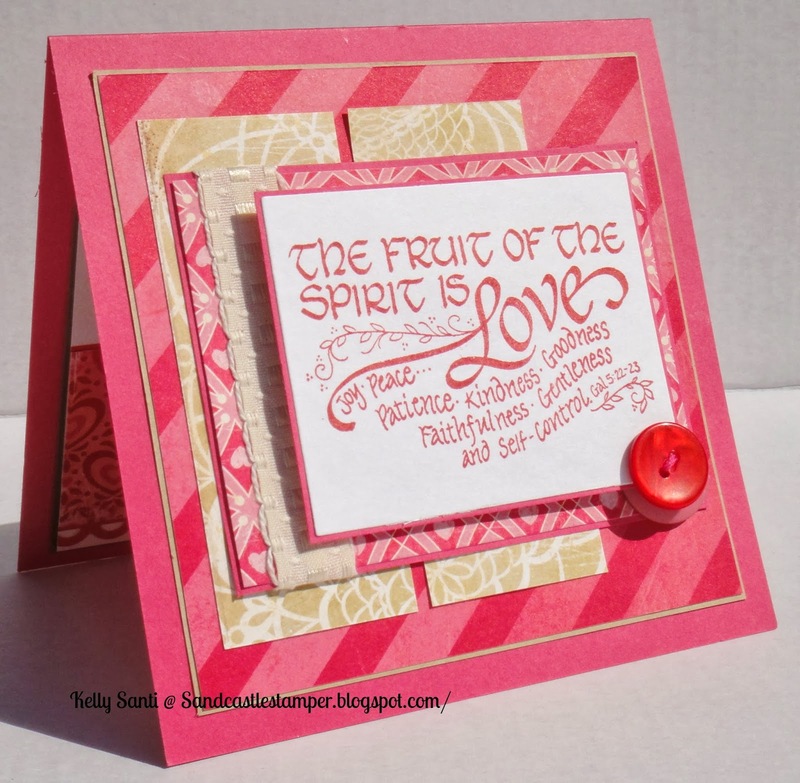 I paired the striped pink paper with the lacey tans ~ and since Deb gave us this sentiment in several shades of ink, I chose the red to play off the colors of the dsp. Some ribbon and a few buttons and voila! 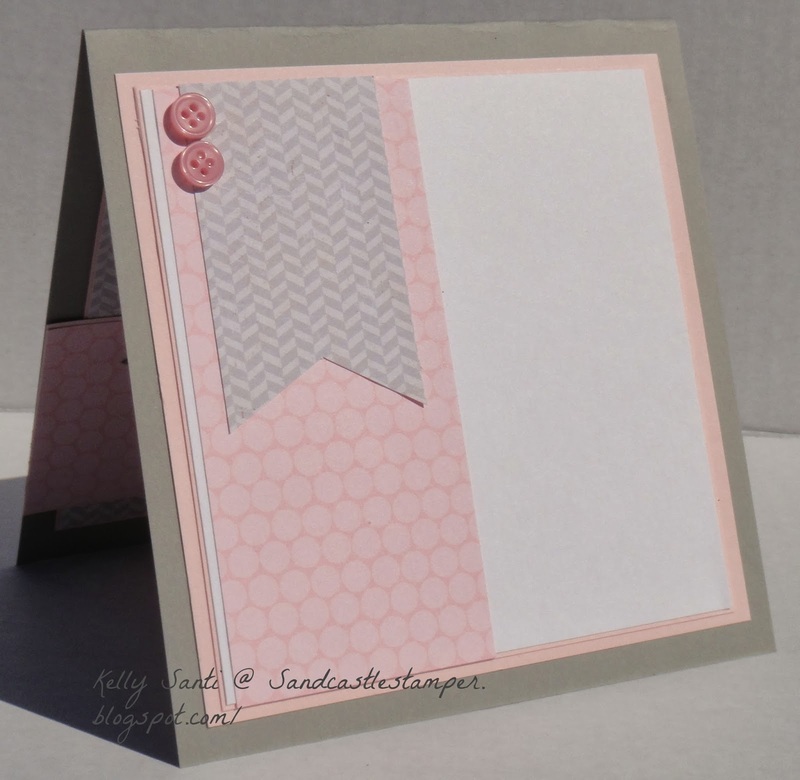 The inside of my card is a continuation of the dsp, my border punch and minimal embellishment. 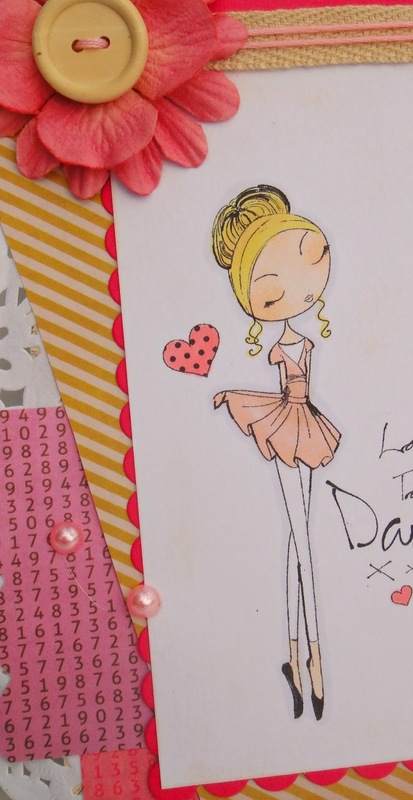 Please be sure to stop by and see the other DDD girls and what they've created this month! Thanks for your visit today! 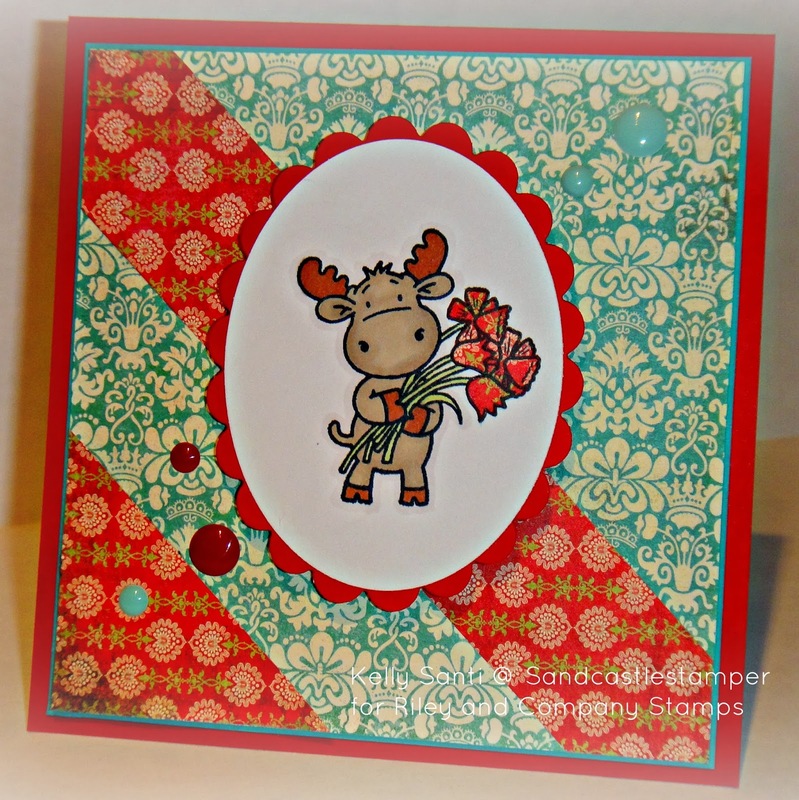 This card is one of my very faves that I've made, another one I made past weekend. And boy, am I glad! 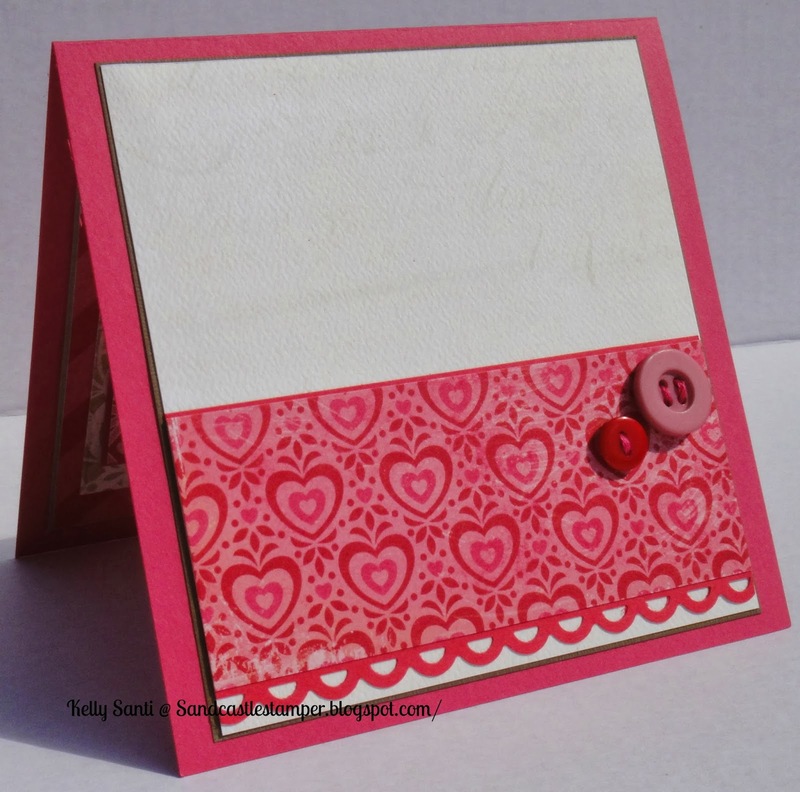 I've had ZERO craft time this week and this one was my son's Valentine's card this year :) I know, I know ... it's pink! 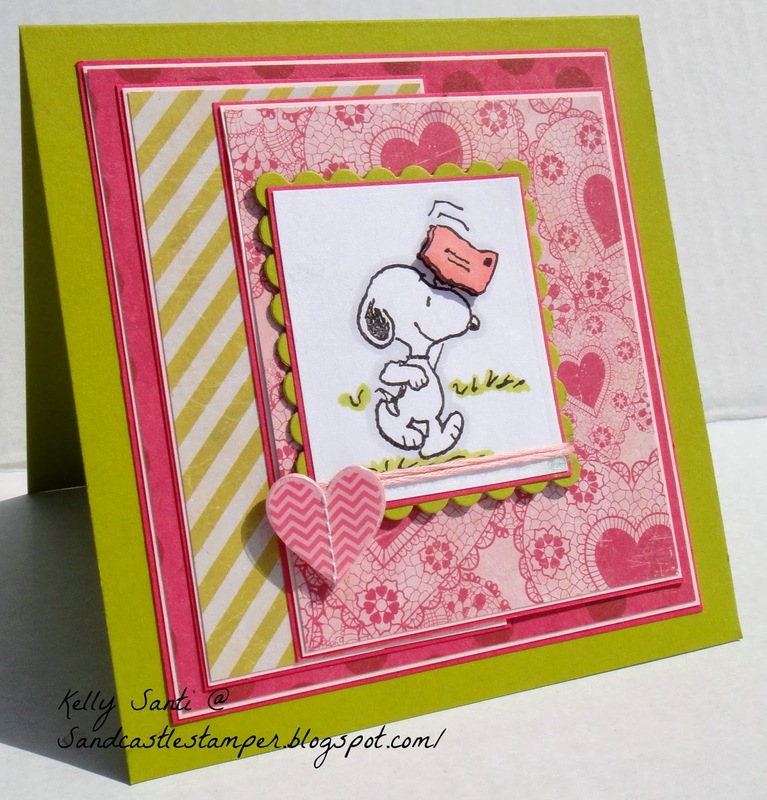 I picked Snoopy for several reasons. I just adore Peanuts! 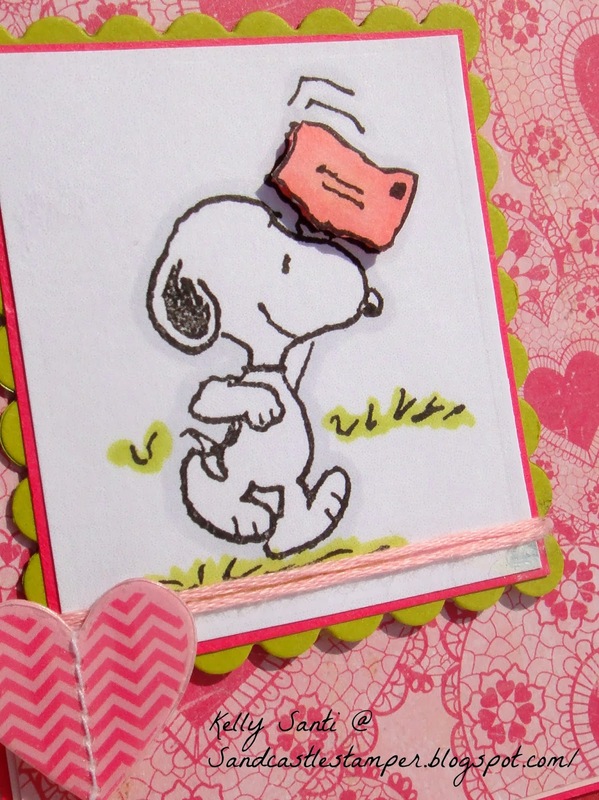 One of the things we do together is wait for the Charlie Brown specials to come on during the Fall, from the Great Pumpkin Charlie Brown to the Easter Beagle, we just adore Snoopy! I have since I was a little girl and passed that love on to my children. 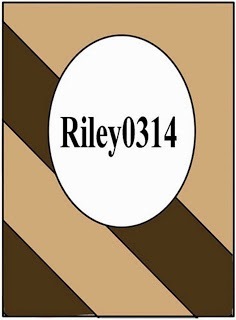 So, my card is simple. But it's lovely to my heart and the meaning of why it was made. lots of love to you on this special day! 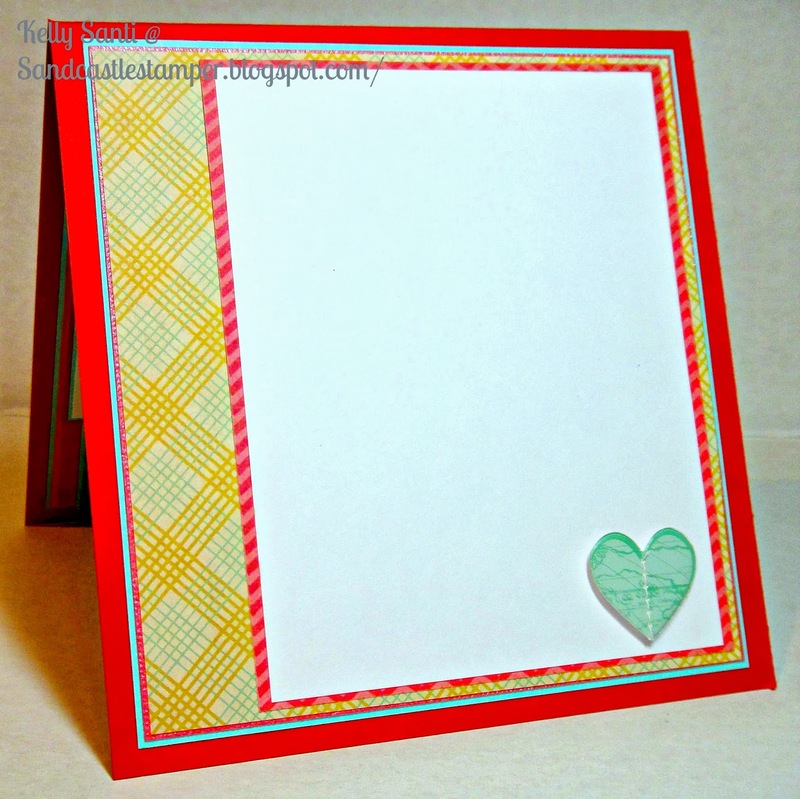 I'll enter this card into: CraftyHazelnuts - Patterned papers! It's still a chilly winter out there ~ but it's February! It feels more like Christmas ... yet it's Valentines! It's like having a little bit of both .. together! 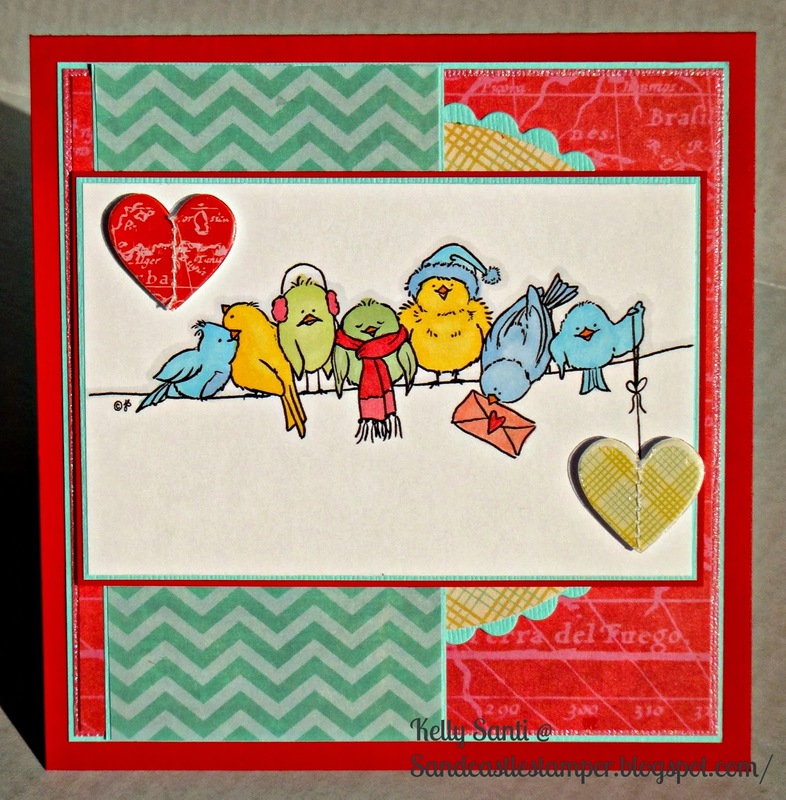 I made a card using a digital stamp by From the Heart. but I saw the little heart letter and my mind went right to Valentine's Day. so I looked at it again this weekend and had a vision! and people bundling up but it's still Valentine's Day this weekend. 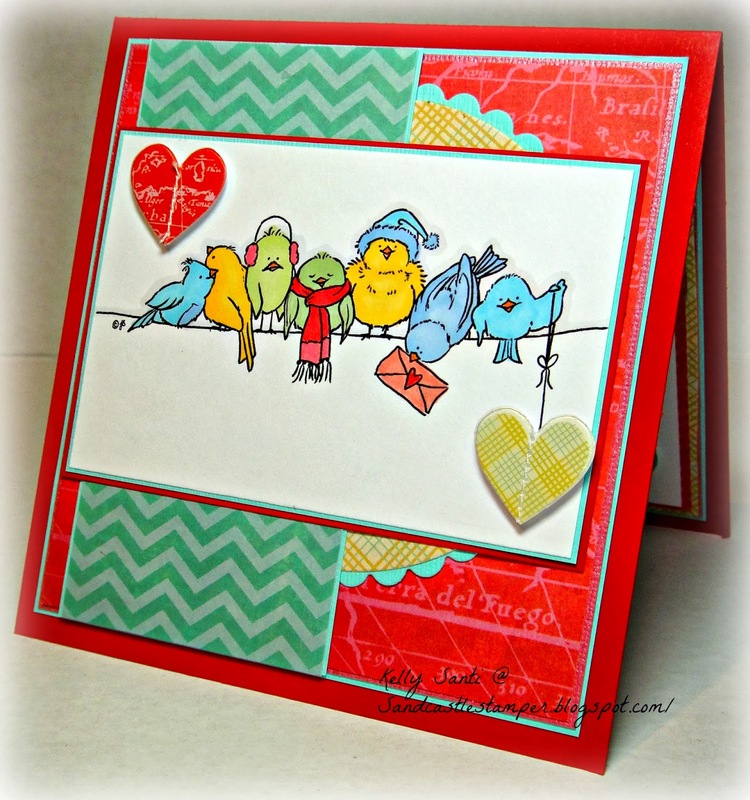 bright, vivid colors and a group of feathered friends wishing lots of love! Happy Wintery Day of Love! and see all the cute thing they have in the store! It's a fun place to shop! she is truly one of the sweetest, most generous ladies I've met online. My husband and I took our kids traveling on vacation to Europe for the summer a few years ago and I was literally a few hours from her house! very blessed and grateful to be able to join in! They started in January so I'm playing a bit of catch up. so I thought I'd create a card for Imke and get this in the mail. 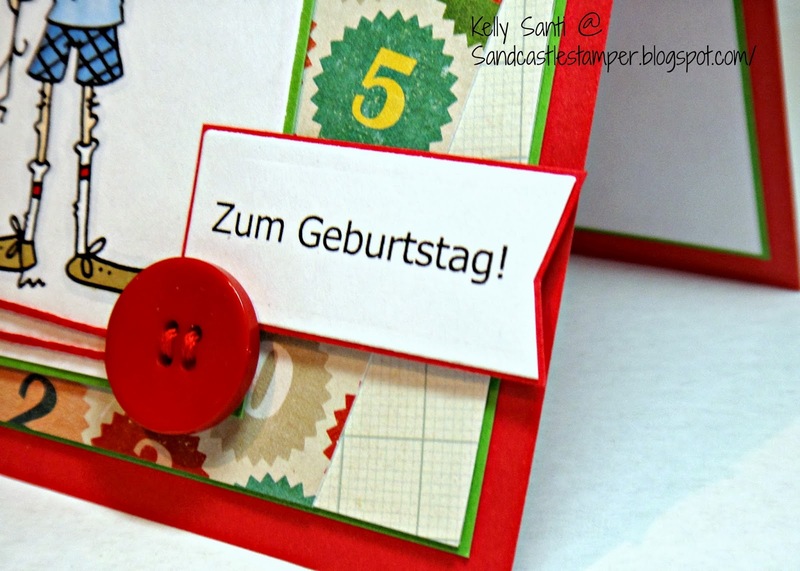 mostly a ... "For your Birthday"
Und a close up of Zum Geburtstag! I'm still trying to figure out this new laptop. It truly is outsmarting ME! This is my 39/100th card. 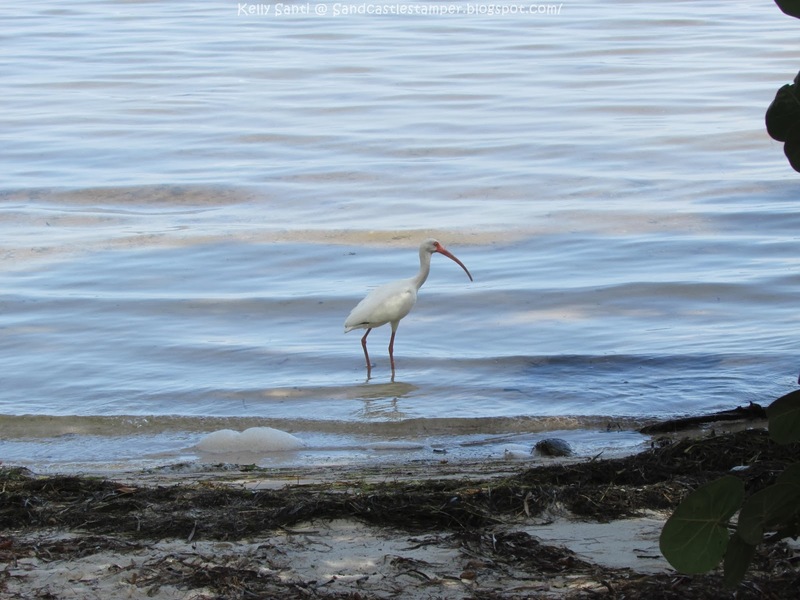 Crafters of Faith - February Blog Hop "Colossians 3:23"
The ideal is to communicate our 'vision' and minister through a single photograph! 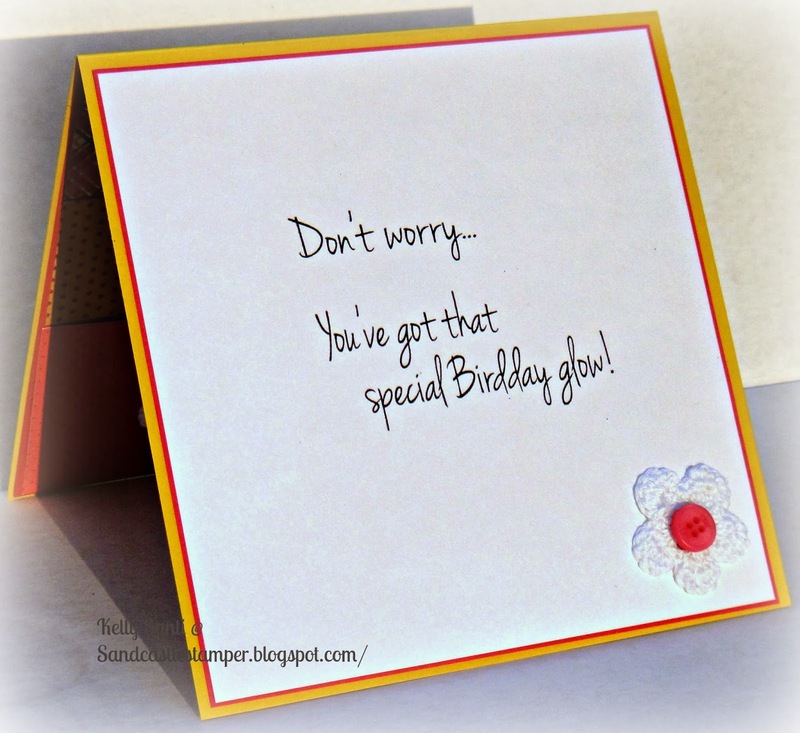 you will have arrived from April's amazing blog. blog if you wanted to visit the hop from the starting place. ~Perhaps--you can take a picture of what you would do as a career, if you could "be anything you want to be" when "you grow up". The sky is the limit--no restrictions at all. What is a job you would love to have? ~Or--look around and see what you love to do in life. It could be cooking, or crafting, or gardening, or reading, or whatever....... What do you do that always puts a smile on your face or gets you in a good mood? I came across this one and knew it was 'the one'. and let birds fly above the earth across the expanse of the sky." trails and lovely animal habitats right there outside our doors. reminder of God's beautiful creatures. (I live in them year round and have a pair in every corner!) and walking in the warm sand, I remembered how much I love sharing this time with my family. I love being out in the water as often as I can. my post this month - I hope I was close to your request, Barb! Thank you for a beautiful theme to reflect on this month! with what we have, and enjoy the true treasures right where we are! and see what one picture they've posted this month! It's *New Release Day* at All Dressed Up! All Dressed Up February guest designer. It is launch time at All Dressed Up, and we have four fantastic images for you for this month's launch. 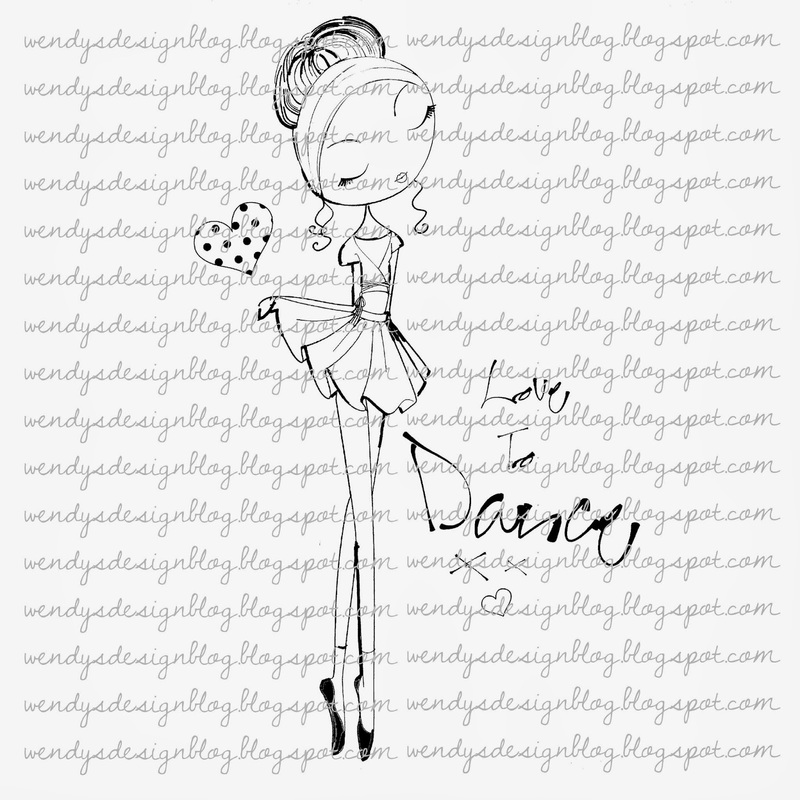 For today's post, I'm showcasing this precious digi - Love to Dance. 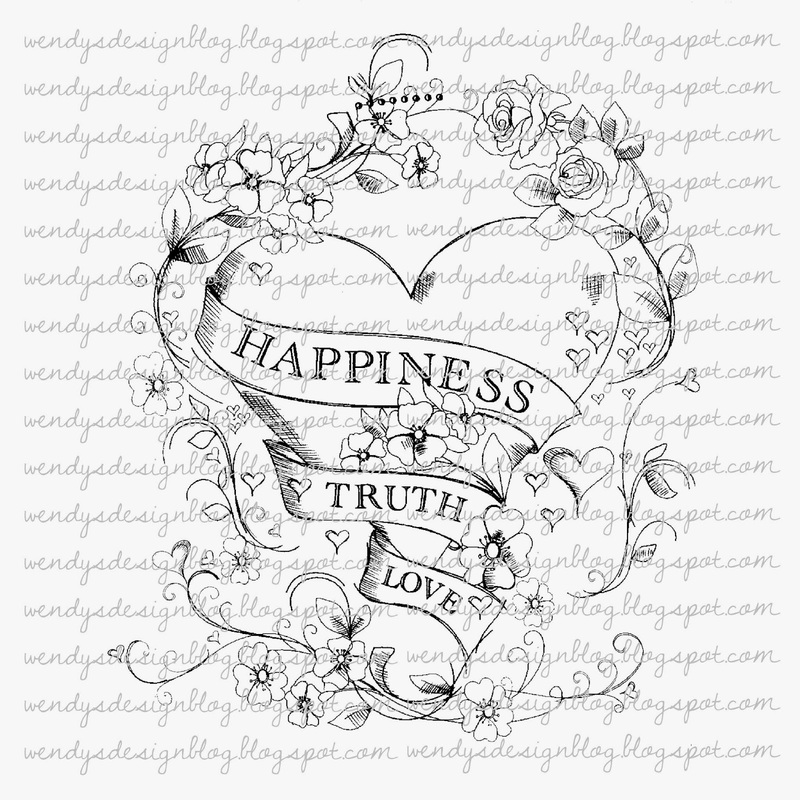 I've created a card with this image and a collage-style, shabby chic bookmark! Would you like to see a few more! would you like to see a few more new images from this release? of winning 3 images of your choice ! from the rest of The Dressy Girls throughout the month. and this one is brought to us by DT member, Frances. She's given us a wonderful sketch to work with! and paper-pieced the flowers in the matching dsp. and play along with this challenge. Riley 0314 so we can visit you.